Hi friends! Today I have another birthday card to share with you...this one is made using the Secret Garden stamp set and Framelits! As you know I love anything floral...so this card is a big hit with me and I even like the colors! I especially like the bling! Take a look and let me know what you think! I hope you are enjoying seeing my special cards! 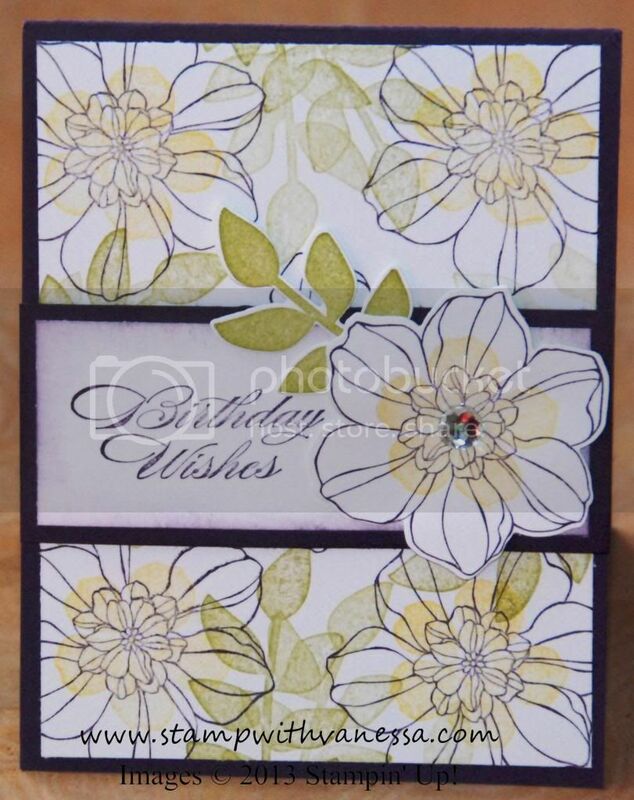 Labels: Big Shot, Birthday Card, Stampin' Up!